I can’t pee when I need to. Teachers can’t usually go to the bathroom when we feel like it, or even when we desperately need to. Many an afternoon is spent with my legs crossed, just waiting for the last kid to leave so I can walk sprint to the bathroom. Since I can’t potty when I need to, drinking a healthy amount of water just isn’t happening for me. Come on class, field trip to the restrooms again… Mrs. Thompson is trying to drink a gallon of water today! There is always some sort of event or holiday or appreciation day that causes 27 plates of goodies to appear in the lounge. It seems like thank you’s come in the form of a box of donuts. Don’t get me wrong, I love a celebration. But the fact that I am unable to resist a freshly baked cookie or cake staring me in the face just doesn’t help my situation! That, and first graders bringing you cupcakes and then crying if you don’t promise to eat all 3 of them at lunch that day! No time for an actual meal. Who actually eats on their lunch period? I am usually going to the copy machine or putting out some sort of fire with a student. I’m lucky if I get to eat a granola bar and a bag of chips while I’m getting sh*t done. This one forgot her lunch in the car, that one needs his jacket, those two are starting a food battle in the cafeteria. You’d think all this running around school and not eating would be to my advantage, but, no. It’s hard to close the 746 browser tabs in my brain when it comes time for sleep, so I need lots of caffeine to keep me going throughout the day! 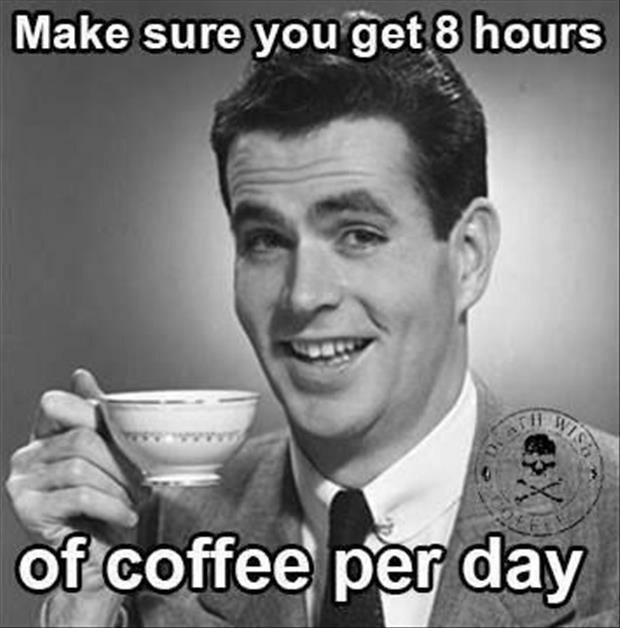 Unfortunately, I like my caffeine with exponential amounts of sugar, so you’ll probably find me with a soda or coffee or, on particularly tiring days, both! I can’t even tell you the last time I went to the gym. Maybe over the summer? The extent of my daily exercise is a round of Go Noodle with my kids! Because what better way to avoid dealing with piles of paperwork than to head down to the lounge to chow down on some of the aforementioned treats? Also, when you teach first grade for so long, you start to forget how to do certain things like estimate a serving or measure how much you are supposed to eat of something and then it stresses you out and you have to then eat more to compensate for the stress of trying to do something and failing! Oh and I can’t forget the wine. Sip sip sip. The amount I drink throughout the year depends on the level of crazy the children are exhibiting and is on some sort of bell curve. Or something. Don’t ask me about math above a first grade level. I know I should probably cut down on the sweets and caffeine, but hey… someone has to help eat that tray of muffins, right? I wouldn’t want to look a gift horse in the mouth. Who gives a horse as a gift these days? I’d like to be friends with that person. I want a horse. I digress. I chase a lot of squirrels. Or horses. I’m definitely not going to turn it down if someone wants to say “thank you”! Plus, I’m willing to take one for the team. I think STRESS is the absolute WORSE thing for your health. This year I cut out caffeine and sugar and walk with a friend every morning BEFORE school. I just decided that I needed more balance in my life between school, family, & self. All the teacher appreciation candy and food in the staff lounge!! I can’t resist. Me neither! It’s always so yummy! I think it’s ludicrous to blame gaining weight on teaching, or any career for that matter. I’m a teacher and am not overweight because I make healthy choices. True, there are usually a lot of goodies around, but there are goodies at home, at the grocery store, at the Dairy Queen by my house… And no one is forcing you to eat treats all the time. If you truly wanted to be healthy, you would say no to sugary goods and excessive amounts of caffeine, and exercise on a regular basis. The best way to beat stress? Exercise! Common knowledge. This article is ridiculous to blame our profession on your unhealthy lifestyle choices. Please stop associating a profession that already has many negative connotations and so much misunderstandings already that we have to fight through daily to be taken seriously as professionals with your poor choices and excuses. It’s offensive, unprofessional, and not representative of teachers as a whole. If we’re being honest, I think you’re the one making the teaching profession look bad and perpetuating negative stereotypes. A little brushing up on the characteristics of the satire genre may be in order. Chill out lady! It was a joke which some of us deeply need! I think it’s ludicrous (and sad) that you have no sense of humor. This comment had me chuckling more than the original blog post. Wow. 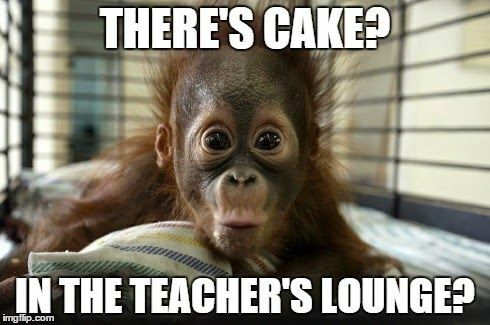 I would hate to be in your classroom! You sound pretty grouchy. It was all in humor. Laugh a little. It does the soul good! Wow! You have absolutely no sense of humor. Life is way too short for your LONG, lecturing post……. Oh Emily put a sock it it! So you were born perfect, well good for you. Now go work on your issues of self-righteousness and let the rest of us deal with the stress by having a donut after Open House Night with the parents! I’m pretty sure this was just in fun! :) She didn’t say she was over weight and I think those are some strong words for a tongue in cheek blog post! I was not offended and do not feel at all slighted as a teacher. Let’s ease up a little! Thanks for your support! You are exactly right. This was a fun post that I enjoyed writing! :) :) I appreciate you! The title is “6 Reasons I blame teaching for making me FAT. That sounds pretty clear to me that she is calling herself overweight. Not sure why this is even a discussion? And there is a picture. She’s not fat :). I totally hear ya on all of these! I also think that the stress raises out level of cortisol which causes us to hang on to fat around our stomachs. I loose weigh every summer just from being out of the stressful situations. This just made me laugh out loud. Thanks for the tongue in cheek blog post at this time of year. And for those that are taking this way too seriously I wear a pedometer all day long and aim for 8000 or more steps. Most days that is not too hard to accomplish working with 5 and 6 year olds, having recess duty, and walking back and forth to take my kiddos to other areas all while trying to avoid the snacks in the lounge. A few might make it into my mouth but my pedometer has been a BIG help this year in my 30 pound weight loss. Thanks for the laugh and bits of truth! I loved it! So True! 23 years and counting in the profession! I don’t drink coffee or drink wine, but the peeing part cracked me up! So true! Don’t drink vitamin waters, it makes it worse! The staff treats and lack of will power are the biggest battle! Sugar is my drug! I went sugar free( as much as possible) and lost 18 pounds last spring. It has been a losing battle to keep it all off this fall! Loved this affirmation of the daily struggles! Teaching is my passion, and over weight or not, I am in it for life! Thanks for the humor. On a serious not, I read John Grey’s “The Mars and Venus Diet Solution”. Very small, manageable changes presented with good scientific research. I did one thing and then added another piece every 3 months. Helped with the stress too. Teaching is one of the most stressful jobs around. The more stress the more our bodies produce the hormone cortisol which can cause us to gain weight. So I can understand those who have the need to go for walks regularly or do other exercise to decrease their stress levels. Unfortunately time-poor teachers can find that very difficult. I have been teaching for 24 years and I agree that gifts usually come in the form of calories and that’s a challenge. I’ve found that I can control my weight by planning ahead. Have a yogurt while your class has snack, or a break. Bring nuts , veggies or fruit to eat while doing plans and correcting papers. Walk around the playground at recess, if you teach little ones. Learn to drink coffee black. Sit away from the snack table at meetings or conferences. I park my car 1/2 mile away and walk the distance to school, even in the winter. I agree you cannot blame the profession. There are donuts in every office. Value your health and love those kiddos. Lighten up Emily. That’s what the **s are for. 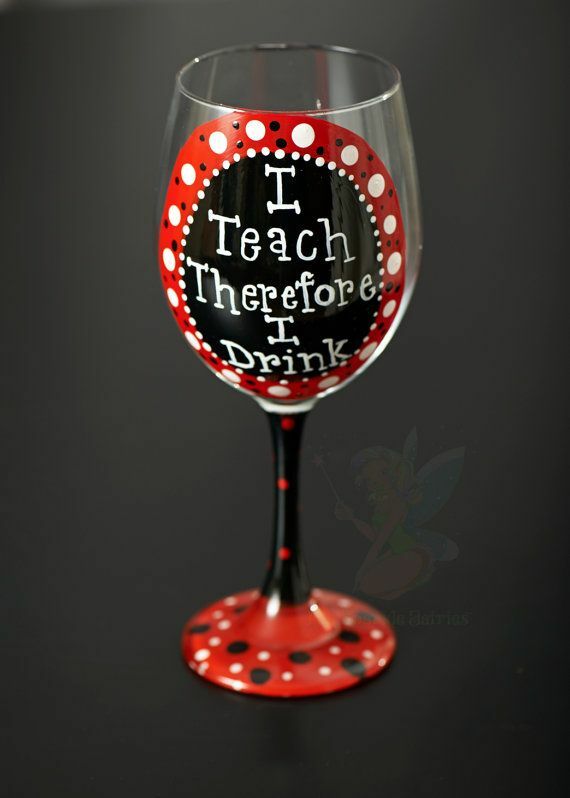 Ok I was really loving this post, being a teacher myself I can totally relate, but then I get to the drinking one and see a pic of the wine glass I painted and sell in my shop :) I came up with that after teaching for 15 years! BTW I found this through Teaching resources FB Post! Cheers only 2 weeks of treats left before Christmas Break! This had me cracking up! I teach 6th grade, so I can sneak out a little more often to go potty, but there are times when I’m hustling the kids out the door because I just might explode from the over abundance of Diet Coke. And the cinnamon rolls 3 different students bring me on a regular basis! How can I say no to a freshly baked pan of these bits of heaven??? I love this, thank you. I couldn’t agree more. You sure did hit the nail on the head! A very funny blog with hints of reality in it!! Teachers get tired, are very busy and are tempted by junk food and caffeine to keep energy up! The pee thing. Oh, it’s so, so true. This is a great post. Funny and Real. Thanks for sharing. Love this. If we can’t laugh at ourselves once in a while, we might crack! Thanks for the giggle at the end of a long and stressful day! I just loved this! So funny but true. My kids are trained to have a restroom break 45 minutes after lunch recess because I can’ t hold it all afternoon. YES, just YES! This is me 100%!!!!! My kindergarteners and I play a game in the afternoons sometimes called “Everyone Freeze While Ms. C. is in Our Classroom Bathroom and You’ll All Get a Point on Classdojo.com.” Best game ever and the day my principal walked in and observed us “playing,” he cracked up. At my school we do wonderful Wednesday’s, where we bring in all kinds of food. After being good on Monday and Tuesday. You nailed it! I struggle with all of these daily! Thanks for sharing! Coffee and donuts? I believe I resisted getting them at a gas station on the way to work (high school) this year so far, but I feel the “no time to eat breakfast and grab lunch from home” day is coming soon :) Great job on the website! It’s awesome to see entrepreneurial teachers. Keep it up and all the best Cassie! You look beautiful BTW and no I am not trying anything LOL – just saying the cake and the donuts got nothing on you! Hilarious! Go Noodle is my only form of exercise at the moment too, given the fact it’s dark by 4:30 and who honestly gets home before then. It’s too bad though because now I sing “Just Kidding” and “Get Loose” in my sleep at night! Thanks for the laugh! Too funny! I feel sorry for Emily with no sense of humor! Lighten up! Wow…you must really be stressed out to not see the humor in this post! Laughter is a stress reliever…hope you can find your giggle! Well, at least, you lady teachers get to sit down for the bathroom breaks ;) After teaching 7th and 8th grade for 12 years I taught Kindergarten for two and gained a new appreciation for my early childhood professionals. It really is hard to get a bathroom break during the time you need one! Blessings on your ministry to all of us teachers, Cassie. I enjoyed your post. Hilarious! I taught for 30 years and ended up a tub! Fortunately, stress and teens are no longer part of my life and I can now stop eating. Tell me how! I feel like you crawled into my head for a day. This made me laugh! I feel like I struggle with most of these on a daily basis. I also love your sense of humor.From one ADD teacher to another. Thanks for laughing about #teacherproblems and having the guts to have a voice. It makes me so upset that teachers get criticized for being human like everyone else, or having an opinion. We don’t deserve to be paid more, but we don’t deserve to express ourselves or make light of our daily stresses like literally every other person on the planet??? Lol and on that note I’ll step off of my soap box. Too funny! To the person who said jobs do not cause weight gain, bad choices do. First, research shows that stress causes weight gain and other research shows that the teaching profession is among the top 10 stressful. I’m just saying! Second, it was obviously done to make readers laugh. Remember teaching author’s purpose? I hope you effectively teach your children how to detect why the author wrote the text, because you certainly missed the mark on this one! Ha! I can totally relate! Teaching was not my first and only occupation. For several years I worked outside and all my ‘bad eating habits’ like a certain earlier guest comment mentioned were around BUT the difference was that I was way more active during my workday AND I didn’t really have to worry about being liable for leaving kids unattended when I walked down to the bathroom. Was the job as stressful, maybe, just in a different way. Now, I really have to make conscious effort to exercise and to watch what I eat! I enjoyed your article and there are several teachers I have worked with over the years that were fitness and health fanatics and I couldn’t even stand being in the same room with because they took themselves way too seriously! 😉😆 Life’s too short not to laugh! i jointed a new school in 2014 as a part time teacher and the only thing i see that is very consistent is teacher weight gain. i see so many colleagues ballooning since 2014till not 2016! I gained over 20lbs last year alone.